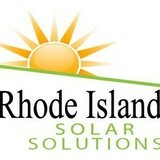 E2 Solar, Inc. delivers high quality photovoltaic systems on Cape Cod and the Islands. Since early 2008 E2 has installed over 1,000 kilowatts of photovoltaic and numerous solar thermal systems on residences and businesses across southeastern Massachusetts. Jason Stoots and the entire staff at E2 Solar, Inc. is committed to designing and installing exceptionally efficient, low maintenance, long-lasting solar energy systems. E2 offers SunPower PV modules with the highest efficiency now available (cell efficiencies over 20%). 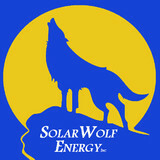 E2 Solar encourages efficiency first and remains committed to educating homeowners and business owners on the benefits of energy efficiency combined with renewables. Financing options are available including a low-interest State Solar Loan offered through the Massachusetts Clean Energy Center. Ask one of our knowledgeable sales associates about what loan option might work best for you. Along with off-grid solar, wind and hybrid energy systems that include batteries and backup generators, there are also grid-tied solar and wind operations. Grid-tied systems are attached to your Winchester, MA utility company so if you produce more energy than you use, your meter goes down and you build up energy credits. 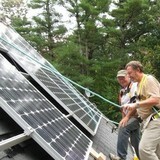 Find solar energy contractors in Winchester, MA on Houzz. Search the Professionals section for Winchester, MA solar energy contractors or browse Winchester, MA photos of completed installations and look for the solar energy contractor’s contact information.